People are often stressed, and it shows up on their faces. And when people sometimes create facial expressions such as frowning when distressed, wrinkles show up on their faces. Sometimes, wrinkles show up even if a person does not have any facial expressions. Wrinkles are creases in the skin. For most people who are conscious of their skin, usually women, wrinkles are the blight of their being. For most beauticians and dermatologists, wrinkles keep them on the map. But what causes these wrinkles? We are about to find out. Teenagers from some countries fancy themselves a tan, but as they progress to maturity, the sun has a strong effect to make people look older. The ultraviolet rays of the sun ruin the elastin and collagen that are responsible for the firmness and suppleness of the skin. This is why there are many moisturizers and anti- wrinkle creams that contain sunscreen. These are rogue oxygen molecules with one electron absent. With one electron missing, the molecule will need to find another one to pair it. Hence, it ends up destroying cells and breaking down collagen. It can be influenced by exposure to sunlight or air pollution. Need we say more? This is a vice that most people find comforting for some situations like coping up with emotions—some people find it fun instead. But it doesn’t just do damage to the human lungs. The nicotine in a cigarette narrows blood vessels, which makes it difficult to acquire blood, oxygen and nutrients to the external part of the skin. It harms collagen and elastin fibers. Repetitive facial expressions leave lines on your skin. They make furrow forms—and when there is accumulated years of repetitive facial expressions, these wrinkles may be permanent. Ladies—you will not like this, but this is true. Women are more likely to have wrinkles than men. Reason being, women have fewer oil glands and therefore have less oily skin compared to men. This is nice when they’re young. However, the less oily skin creases quicker than skin that is drenched with sebum. Everyone will go through aging at some point. This is the most evident cause of wrinkles. As people age, collagen and elastin within the skin breaks down. Other types of skin deterioration include thinning skin, reduced oil production, and loss of fat. Aging can lead to a lot of wrinkles. Changes in hormones is another factor in the cause of wrinkles. For example, during the menopausal stage of women, the production of estrogen in the body diminishes. This can result in thin skin and severe collagen loss. Of course, by itself, gravity can’t cause wrinkles. But sagging skin is helped by gravity to augment age-related thinning, causing limp eyelids and deeper creases. While having the right nutrition is no assurance for slow skin aging, poor eating definitely contributes to the number of wrinkles on you. Plentiful sugar can break down collagen, while people with vitamin deficiencies may see wrinkles appear at a younger age than those with better diets. You need to take better care of yourself. Wrinkles can be unpleasant to the eyes. With all these causes at hand, you need to remember to take care of your health. Have a good night’s sleep, invest in a good, healthy diet to boost your collagen count. Whenever you are going to work, or at the market picking up your groceries, make sure that you protect yourself from the sun. If you are going to spend a lot of time outdoors, remember to bring sunscreen with SPF 30 or higher. 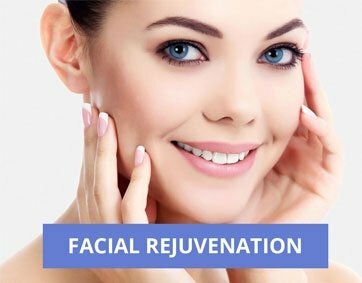 If you want faster results, you can invest in dermatological means, such as Hydrafacial and IPL skin rejuvenation. Lux Aesthetics offers these services that can boost your skin care. With these methods you can achieve healthy, younger looking skin. There really is no right or wrong when it comes to self-care. As long as you are doing it right and with the right intentions regularly, you can get rid of those stubborn wrinkles! After all, self-care is a form of self-love, and self-love is key to a happier life.